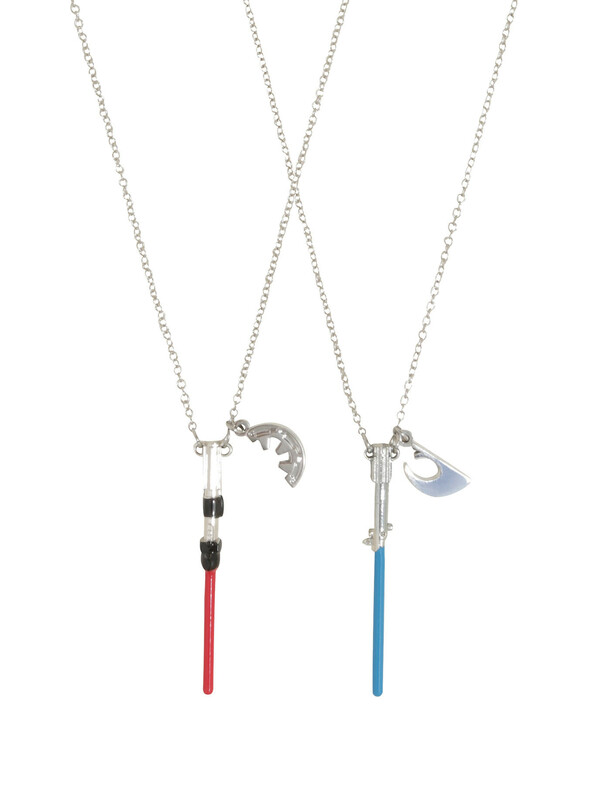 This Star Wars Lightsaber Best Friends necklace set is now available at Hot Topic. 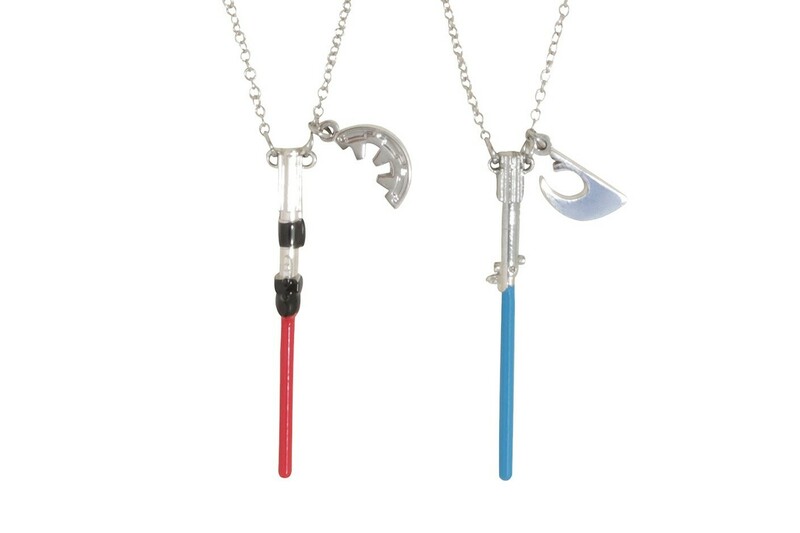 The jewelry set contains 2 necklaces – one features Darth Vader’s red lightsaber , while the other features Luke Skywalker’s blue lightsaber. 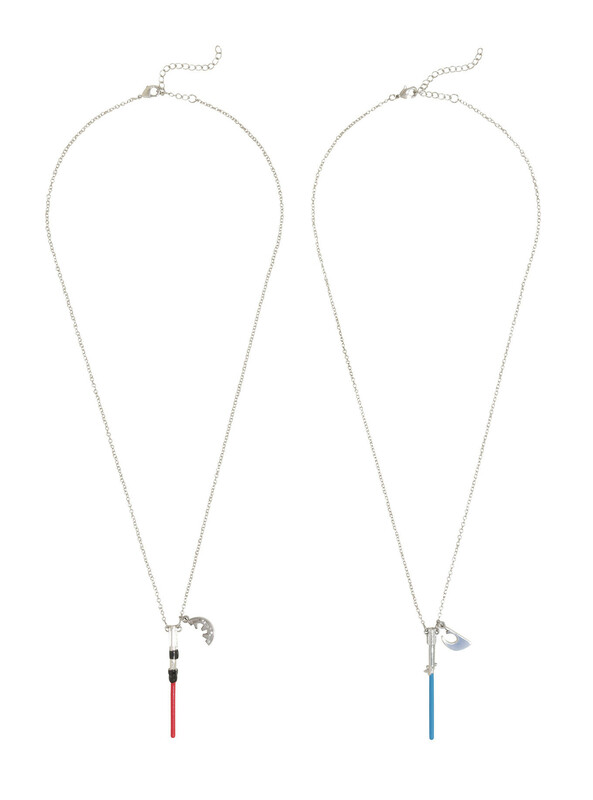 As with regular Best Friend necklace sets, these necklaces also feature a ‘half’ style pendant each – the Darth Vader necklace features a small half pendant of the Empire symbol, while the Luke Skywalker necklace features a small half pendant of the Rebel Alliance symbol. The chains measure 18″long, with 2″of extender chain. 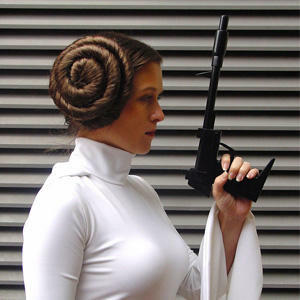 Because you’re proof that the Sith and the Jedi can get along. Bring the light side and the dark side together with a Star Wars red Empire charm and blue Rebellion charm light saber necklace set. Why stress about Empire vs Rebellion when you can just get brunch with your best friend instead? The necklace set is priced at US$9.90 per set – but is currently on sale for only US$7.42 per set. Hot Topic can ship internationally, which is great.